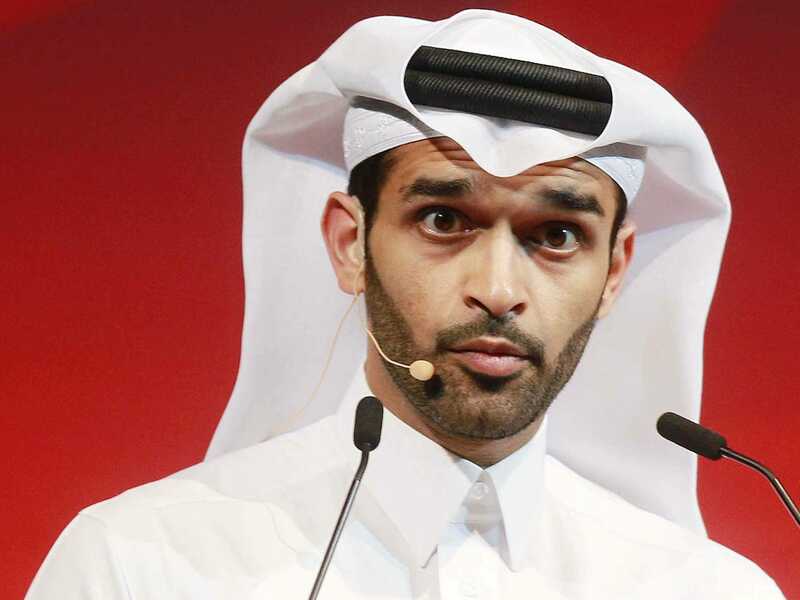 REUTERS/Mohammed DabbousSecretary-General Hassan Al-Thawadi of Qatar’s Supreme Committee for Delivery and Legacy, the nation’s 2022 World Cup organising committee, speaks during a news conference to announce the start of work on the Al-Khor Stadium in Al-Khor June 21, 2014. FIFA will announce the finding of its much-anticipated ethics investigation into the bidding process for the 2022 World Cup in Qatar on Thursday at 4 p.m. eastern time. If FIFA is going to take the extraordinary step of stripping Qatar of the World Cup, as some have speculated, a bombshell revelation from this report is the most plausible catalyst. The investigation was conducted by Michael Garcia, a former U.S. attorney. Since 2012 he has been investigating bribery allegations related to the 2018 and 2022 tournaments, which were awarded to Russia and Qatar respectively at a meeting in Zurich in 2010. He interviewed 75 people and compiled 200,000 pages worth of documents. The findings of the investigation will be announced in a statement by ethics committee judge Hans-Joachim Eckert. Controversially, the entire 350-page report will not be released. Garcia, as well as many other influential figures, have called for the entire report to be published. Instead, we’re going to get Eckert’s interpretation of it. According to the BBC, FIFA is expected to clear Qatar of all allegations. FIFA executive committee member Theo Zwanwiger said in September that he didn’t think the 2022 World Cup would take place in Qatar. In July, the Sunday Times reported that ex-FIFA vice president Mohamed Bin Hammam allegedly paid $US5 million in bribes and gifts to secure votes for Qatar, largely to African soccer officials. Bin Hammam was banned for life in 2012 for an unrelated bribery scandal. Another former executive committee member who took part in the 2022 World Cup voting, Ricardo Teixeira, fled Brazil and resigned from FIFA amid allegations that his 10-year-old daughter received $US3.4 million after Qatar won the vote. Then there’s Jack Warner, the disgraced North American soccer official who allegedly got paid $US2 million by a Qatari firm run by Bin Hammam. All three of these figures are no longer a part of the executive committee. Bin Hammam was not a part of the Qatari bid committee in 2010, which has vehemently denied any wrongdoing in the bidding for the World Cup. “If Garcia’s report comes up and his recommendations are that wrongdoing happened for that vote for the 2022 World Cup, I certainly as a member of the executive [committee] would have absolutely no problem whatsoever if the recommendation was for a re-vote. Qatar won the vote over the United States. On Thursday, we’ll find out if there’s any evidence to justify moving the World Cup.